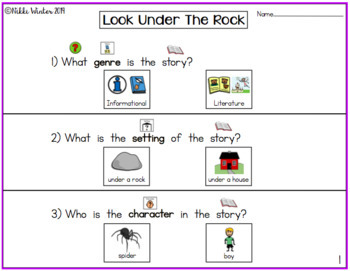 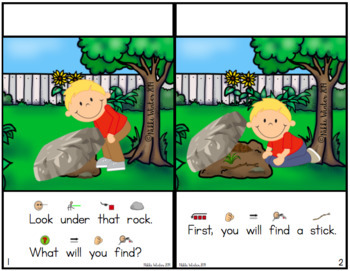 Look Under That Rock is a Reading Level D Book that is modified with picture symbol text supports. 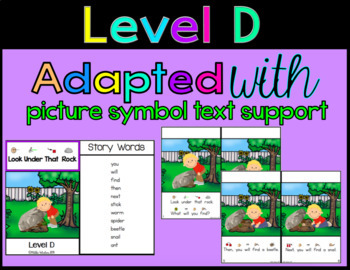 This is a great way to teach Special Education and ELL students who require more visual supports to understand the literacy skills. 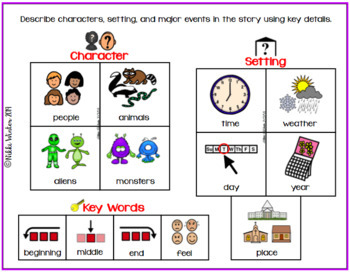 The book comes with a list of Vocabulary Words.